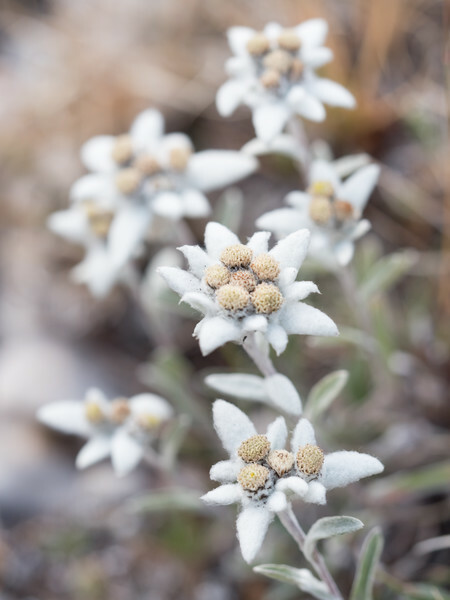 Edelweiss (Leontopodium alpinum), Turtmanntal, Switzerland. Choosing a camera, or anything really, can be a daunting task nowadays. We have far too many choices - different formats (sizes of sensors), different brands, several camera models within each brand, and then we also need lenses, for which we have even more choices (at least for some formats). We can randomly buy what is the easiest to get, purchase what we already know, or try to make an informed decision. Here are the criteria based on which I limit my choices in order to make it easier to eventually decide what to buy. Concerning the camera format, I have made my decision (more or less informed, sometimes doubted) many years ago: micro four thirds (m4/3) provides, in my opinion, the best compromise of size, image quality, versatility, lens choice, and price. Only if I wanted to print very large (which I don't) or perform very long exposure photography (which I do not either), a larger sensor would be more appropriate. As sensors become better, this situation can only change for the better. Unfortunately (or luckily as it reduces the choice tremendously), these two simple criteria exclude all current Olympus cameras and I am down to only six Panasonic Lumix cameras (five actually, as I do not consider the GM5). The secondary criteria are less defined and somewhat arbitrary. They include (in the order of importance) size and weight, viewfinder quality, mobility of the screen, and the absence of "unwanted" features. Since I really liked the GH1, I am drawn towards the GH3 or GH4, but these cameras are targeted at the videographer and are also rather large and heavy. Although the G7/G70 is newer than the GX7, it is also rather large and chunky as compared to the elegant shape of the rangefinder-style GX cameras. Consequently, as long as the GX8 is unavailable, the GX7 is my choice. The GX8 is larger, heavier, and more expensive, but otherwise a better camera in almost every aspect. Between these two cameras, it is a difficult choice. If I did not have a camera yet, I would likely buy the GX8, but I do have the GX7 now and I am happy enough with this tool. I will most likely wait until I can justify a second camera (or until I drown the GX7 in a river ...). 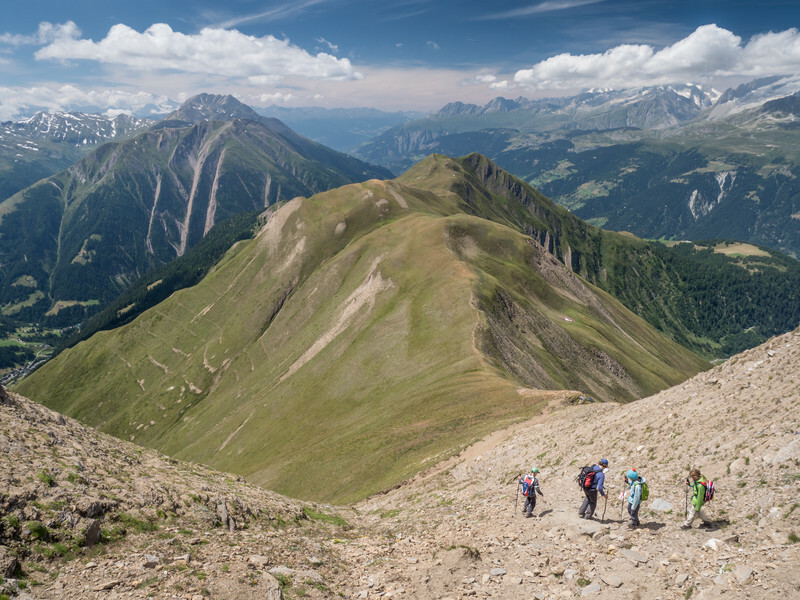 The GX8 is definitely small and light enough to be carried all day long on strenuous hikes; here on the Schweifegrat in the Binntal, Switzerland.